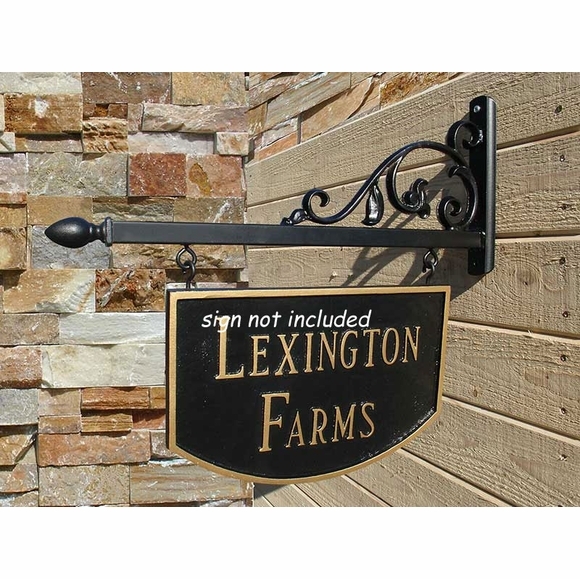 Scroll Arm Bracket for Hanging Sign - - decorative bracket with scrollwork for hanging address signs, business signs, and professional office plaques. Length of scroll arm: 22.5". For signs up to 32 lbs. Made to order. Please allow 2 to 4 weeks for delivery. Note: If you require this item made in shorter or longer lengths or with different center to center hole distances, in other shapes or scroll styles, or with different finial, please submit your request using the Request a Custom Quote form at the very top of this page.